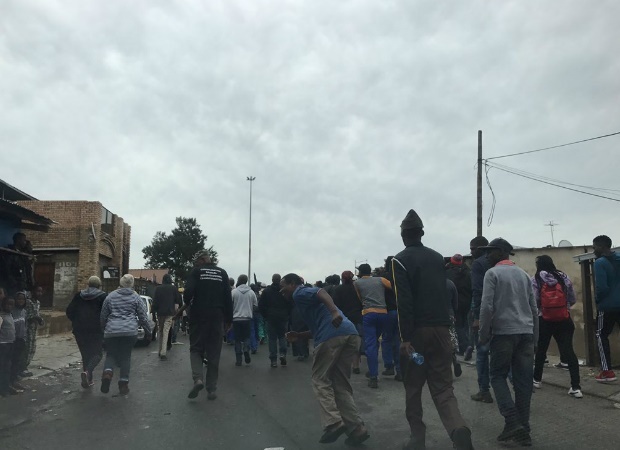 Although protesting Alexandra residents no longer want Johannesburg Mayor Herman Mashaba to address them, but President Cyril Ramaphosa, Mashaba says he is willing to join the president during his visit to the township. "Alex is not just [the] City of Johannesburg's problem, we are a new government wherein a lot of promises have been made by the province and national government to people of Alexandra. So I have invited the president and the premier [and] I would be happy, if they would like me to join them, I am happy to join them," Mashaba said. On Monday, Makhura announced on Twitter that he would visit the township on Tuesday. Ramaphosa will be there on Thursday. "The DA is busy with blame-shifting, not delivery. I will meet with #AlexShutDown Committee on Tuesday, while President @CyrilRamaphosa will visit Alex on Thursday to address the grievances of the people of Alex. We are problem-solvers, not blame-shifters," Makhura tweeted. However, Mashaba maintained that he had been requesting to meet with the provincial and national governments to discuss the Alexandra matter, but had not received any response. "I extended an invitation to the president and the premier [David Makhura] and I said as the three spheres of government, let us go to Alexandra then I can talk about my two and a half years of administration of what happened in Alex and they can explain about the Alexandra Renewal Project," he said. The ANC and DA in Gauteng have been pointing fingers at each other after the tense Alexandra protests. The DA claims the protests were orchestrated by the governing party to influence the upcoming elections, while the ANC said these allegations and opening a case with the police was nothing but a "cheap political stunt". "Realising that the DA's campaign is floundering in Gauteng since the party deployed another failed former mayor of Tshwane to be its premier candidate, the DA is now desperate to find relevance," ANC Gauteng deputy chairperson, Panyaza Lesufi, said in a statement on Sunday. Mashaba said it was unfortunate that certain individuals took advantage of the plight of Alexandra residents. He added that the reason why he had not yet formally met with the protesters was because he was busy with the budget process and there would be a scheduled meeting next Monday. The meeting is the platform where residents will engage with him regarding their plight. "But now, because of this protest in Alexandra, driven by ANC councillors, the speaker has called a meeting on Friday so that we can engage the issues that the councillors are raising and are unable to raise through the normal channels, as elected representatives of the people of Alexandra," he said. Mashaba said he had also tried to extend an invitation to the councillors behind the protests. "They turned down our invitation and said they want me in Alexandra and I said they are representatives of the people of Alexandra and know very well since 2016, when I took over the administration, that I have been trying to get a meeting with the homeowners of Alexandra, with the provincial government," he said. Mashaba said that should Ramaphosa and Makhura visit the suburb without him, he hoped that they would update residents on what happened with the Alexandra Renewal Project, during former president Thabo Mbeki's tenure. He said he would be instituting an investigation into what happened to the money that was set aside for the project. "I need an explanation of what happened to the Alexandra Renewal Project funds and secondly, when are we going to execute the agreements signed with the people of Alexandra?" "It would be unfortunate [if] the premier decides to go to Alex because he is going to be dealing with his own comrades. What is he going to tell the people of Alexandra? I hope he is going to tell the people what happened to the Alexandra project and when is he going to provide the money for the contract he signed with the residents in June 2016?... Us, as the City, we are ready to implement the agreement. "I find it strange that the premier is going there on his own without the City of Johannesburg. What is he going to tell the people? I also find it difficult for the president to go there alone, because the money was ultimately going to come from national government to the province," said Mashaba.